It occurred to me the other day that I have a lot of brow products. Like, an inappropriate number of brow products. I think I have a little of everything, from different pencils and brow gels to a selection of brow powders and waxes. What can I say, I just really want amazing supermodel brows. Don't we all? Anyway, it's because of this that I'm pretty much willing to try any brow kit or product that looks interesting (and doesn't murder my wallet, of course) so I picked this up on my first Makeup Revolution haul. A girl can't have too many eyebrow product options when she's getting ready, right? Right???? Anyway, keep reading for a look at this palette! Of all of my brow palettes - and we've already concluded that there are many - this has my favorite packaging. Like most other packaging from MUR, this is a simple glossy black plastic case with rose gold text and branding on it. It doesn't feel particularly weighty, but it has a very secure snap that would make me comfortable tossing it in a travel bag. 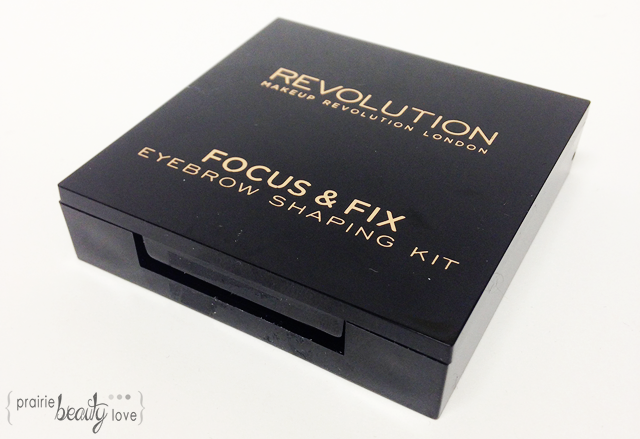 It also contains a full sized mirror in the lid, a small angled brush, and a small pair of tweezers, which really does make this kit a catch all for on the go. I got the shade light/medium since I like my brows to look quite natural and I tend to find that palettes that match my hair tend to give me big, black caterpillars on my face - Not a good look. 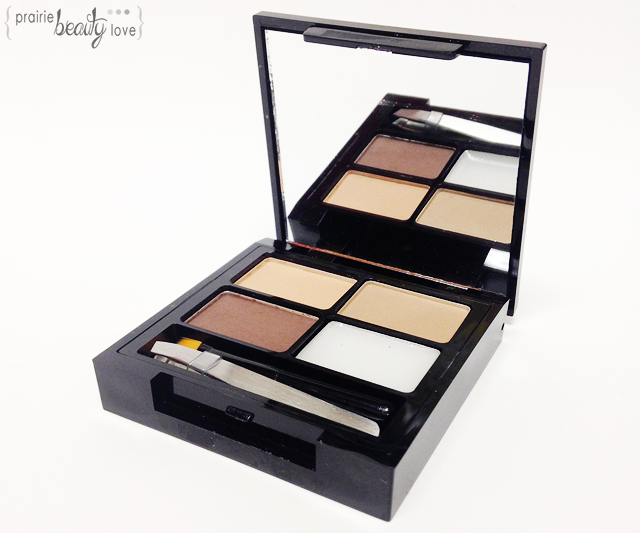 This palette contains 3 brow powders and a clear brow wax. 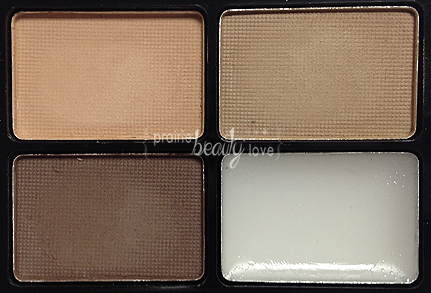 When I first opened this palette, I was afraid that the shades were going to be too warm on me. I tend to prefer shades that lean towards an almost olive tone so that they really look natural, so these shades had me worried. However, I've actually found that I can really make them work for me. The wax is a little thinner and has more slip than I generally prefer, but I can still make it work. The top left shade is definitely going to be end up being an eyeshadow for me, because it doesn't work for my particular colouring as a brow powder at all. I would actually have loved if this shade had been replaced by a brow bone highlight shade to really define the brows, but I'm not mad about it. The top right shade and the bottom left shade actually combine really well to fill in my brows in a really natural, pretty, soft looking way. I tend to use the lighter shade on the thicker inner part of my brow and then define the tail with the darker shade and it looks really nice. Overall, I think this is a pretty good kit for the price. 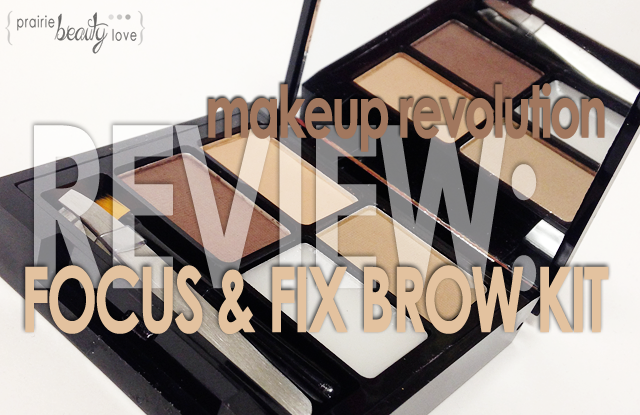 You get all of the things that you need for on the go brow work and the shades actually do work fairly well. I wouldn't say that this is my favorite kit like this in my collection, but it's definitely usuable and a great price for what you get!